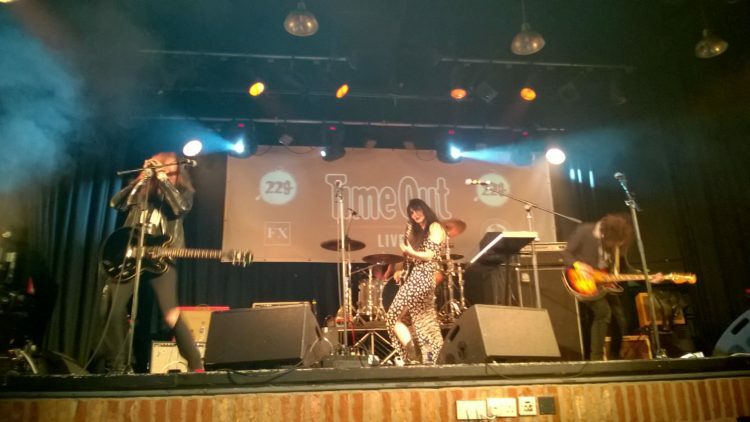 I had a great evening out at 229 The Venue, where Time Out held their Rising Stars event hosted by Ray Jones, the music was acoustic and rock. My favourite band of the night had to be a rock band Saint Agnes; they were full of energy and definitely rocked the house. It is so nice to see a female fronting a rock band and playing instruments – also Kitty was very sweet to me when I approached her and the band later on. 229 The Venue is a great place for an evening out. Do not be put off by the stairs at the entrance, there is wheelchair access via a lift in the student halls accommodation and there are full wheelchair facilities. The staff were very friendly and were happy to help. Ray Jones from Time Out was very welcoming, as always, and I am looking to the next show. Rock on! !